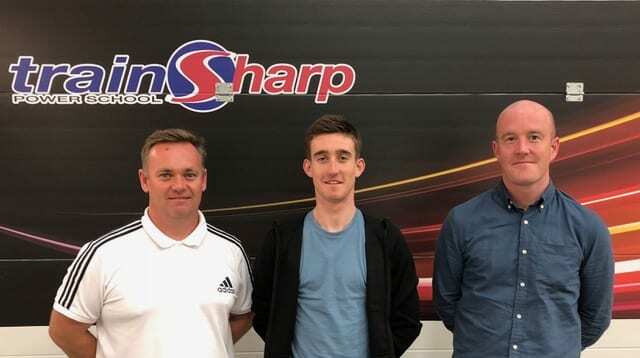 A chat with Jon Sharples, founder of trainSharp coaching, about the origins of his business and training with power, the emotional side of coaching, and most importantly, winning sprints in flat-soled trainers. Let’s start from the beginning, can you give us a brief intro to how you formed trainSharp? trainSharp was formed by chance after chatting to a fellow rider on a bleak mid-winter club ride. He started to ask me questions about my training and asked if I would help him choose the right training sessions for him. Like many people, he felt he was putting in a lot effort for very little return. He knew me well and could see that I was methodical in the way I approached my own training with specific goals set each winter. I agreed to coach this rider and he quickly improved. He performed very well that season and before I knew it, word had spread, and I was soon approached by riders from all over the UK. I’m proud that trainSharp has grown organically to provide truly world-class coaching to riders from all across the world. Was coaching much of a known business back when you started? Was it mostly just riders following Coppi’s mantra of ‘ride a bike, ride a bike, ride a bike’? My local clubs, like most clubs, would have an older cohort of riders who would happily hand out advice/coaching on a weekly ride. Some of it was good advice and, with hindsight, some of it wasn’t so good! The bedrock of most riders’ training regime was ‘getting the miles in’ with some interval training to help with acceleration and attack. It tended to be based on the ‘it worked for me, so it’ll work for you’ approach rather than being individualised and based on science. Most coaches tended to have a second job and therefore weren’t able to commit to coaching full time, which meant they couldn’t really develop a personal approach to the relationship. Like you say, the early approach to riding was ‘get your miles in’ and to some extent, as cycling is an endurance sport, this is true. But it’s all about understanding how the body works and how your system develops. What works for one person doesn’t always work for another. I still think that people really forget how to train for results specific to their event. They think it’s intervals, intervals, intervals because they have their power meter, but it’s so much more nuanced. You were an early-adopter of training with power, embracing it when it was in its very fledgling years as a concept. Nowadays, the majority of riders looking to race or ride in Gran Fondos etc use a power meter, or have access to a proxy to power meters via Smart Trainers. What was the general perception of power meters when they first started to be produced and used? I’ve seen tales of pros not even trusting heart rate monitors when they started to become commonplace. Every once in a while, new training techniques and technology come along which are often treated with some degree of scepticism. 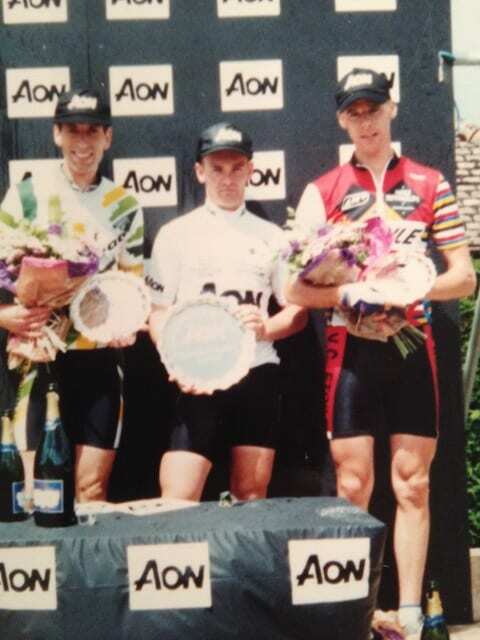 I have always been open minded to new ideas and have trained with a power meter since the mid-90’s. I was lucky enough to be often invited into the local university where there was some development going on with SRM power meters. 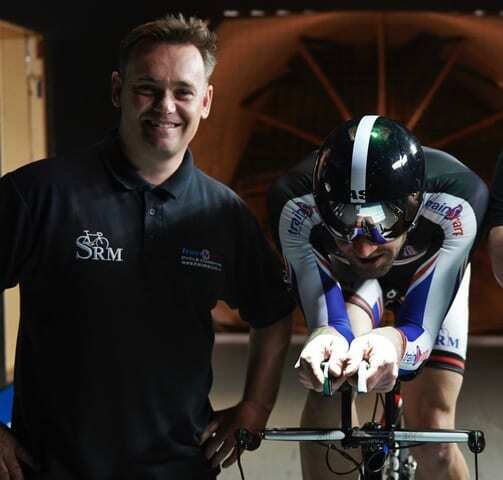 Uli Schroberer [the creator of SRM, and to some extent, the inventor of Power Meters] and Peter Keen, a legend of the cycling world who created British Cycling Training Zones and coached Chris Boardman, were often in and out of the building. Although training with power was definitely the ‘new kid on the block’, it was quite obvious to me that this was the way forward and the best way of quantifying your training effort. Training with heart rate alone or just going by feel tended to be too variable on a daily basis. Some people didn’t understand what power meters were at first, and a lot of people had no idea how to use them. A lot of people thought it was like a motor for your bike! And for those that did get one, a lot of people didn’t understand what to do with the numbers that came from them. Contrastingly I recognised that power meters enabled you to set specific training targets that were realistic, repeatable and measurable. They were also a great motivator. You could be confident that you were getting stronger if the power meter was showing an increase in numbers for your efforts. SRM and Power Tap were the only brands available back in the mid-90’s when I started to use them. Power meters and associated training techniques are continually evolving; however, as the choice of power meters increases, so does the uncertainty when it comes to choosing the right model. Accuracy in measuring power is so important and at trainSharp, we continue to use SRM power meters. The SRM Training System is the gold standard equipment for the world’s leading professionals in cycling and triathlon. A lot of trainSharp’s ethos and selling point is about fitting training in around daily life. Given you coach all levels of ride from relatively new cyclists to top level Elites, you must encounter lots of different demands and requirements. Can you tell us a little more about the range of situations you encounter and how you manage them? We certainly have a wide range of clients. Some of them are performing rather well on as little as four hours a week while at the other end of the scale we have some higher mileage riders reaching 25 hours per week with elite riders topping the high 30’s especially when they’re on a training camp. Juggling training and work/home life is one of the hardest things we face, especially when you’re trying to squeeze in some meaningful training. This in turn causes stress, worry and frustration which will only have a negative impact on your performance and long-term enjoyment. We take a very personal approach with our coaching and develop good relationships with our riders. This means we can adapt training to suit a rider’s needs and requirements. As we develop the relationship, we can manage expectations and keep things realistic whilst planning out the most effective sessions in order to allow a rider to achieve that goal/dream. At the end of the day, the best way to boost an athlete’s form is to strike the correct balance between rest and play. Even someone who has all the time in the world to train may not be able to do the hours of a pro cyclist; everyone has different constitutions. Some people can handle lots of hours and some can’t. To some extent, having a day job can be an advantage for people, as they’ve got a mental and physical distraction from cycling – and this prevents them overdosing on it. Having a day job doesn’t stop you training hard, if you’re ready for the load – for example you can do an hour of fat-burning indoors on the turbo before work, and then when you get back home in the evening, do another session. I do train some athletes with very unique situations though, such as some doing ultra-endurance rides such as the RAAM (Race Across America) or similar – they have to do some crazy training – which is based on what they will encounter during the event. So, some may have to ride in extreme heat in their race, so we ask them to train with oil heaters near their turbo to get acclimatised. Or some may need to get used to sleep-deprivation, so we ask them to set their alarm for 2am and do two or three hours, then go to work. Similarly, you coach riders from all over the world, and that creates another set of challenges, resulting from climatic and cultural situations in different regions. Given Unfound is a worldwide platform, it would be great to hear a little about this, and how your coaching reflects riders’ situations. We currently coach riders in areas as diverse as Bahrain, Dubai, Russia, Sweden, central Europe, US and Canada, and yes, different areas of the world present different training challenges which our coaching team and sport scientists relish! The coaches work very closely with all riders and can very quickly adapt planned sessions to cope with any unexpected changes in weather, extreme temperatures or sandstorms. It’s funny, we advise that the UK riders train inside in the winter to beat the cold and avoid illness, but we have a lot of clients in the Middle East, and the conditions there are so hot that we’re prescribing a lot of indoor sessions so they can keep cool. Of course, the essential training aspect is the same wherever a rider is based, but you do get some interesting cultural insights. Again taking the Middle East as an example, a lot of races or group rides start at 4 or 5am when it’s lighter. And in some places, like Dubai, an event may be 200-300 riders and they have to set off in batches of around 100, with any dropped riders having to get in a car – they can’t be left behind. That’s the way the regulations work there. So you do have to take a lot of unusual things into account when training riders from around the world – and that’s why we value having strong personal relationships with all our athletes. For me, coaching is a very personal experience; you need a coach to understand you and how you are personally. My coach (sorry Jon, he’s not trainSharp and so will remain nameless!) is really good with helping me manage training around general ‘life issues’ that I may be experiencing, and I feel comfortable talking to him about personal stuff. As training is such a mental and emotional thing it helps if an athlete can be quite open with how they feel. How do you build that relationship, especially when you have riders all over the world? As with any relationships there can be an instant understanding or it can take a few weeks or even months to build. We pride ourselves in getting to know our clients. Effective coaching runs deeper than just race wins and losses, it also includes reaching riders on an individual level. Our coaches focus on building positive, personal relationship with their riders. A good working relationship is the foundation of coaching and even though a relationship is a two-way street, it’s the coach’s responsibility to make the relationship with their rider work. I think it’s important for coaches to be reachable enough for our riders to open up and view their coach as a role model or mentor. It’s key for us to speed up development of the rider-coach relationship, and it’s easier to do this with some riders than others. It is something I train my team of coaches to be able to do. They need to be able to listen, to compliment, to put a rider’s mind at ease. Everyone’s different: not all athletes are coachable. Some come along with a lot of emotional baggage, and we learn to stop them worrying and panicking about their training. Taking out the guesswork means we can help riders enjoy their riding and train all the better. As mentioned, you work with all types of rider in terms of experience, ability and background. Any particular success stories you’d like to share? On one level,we’ve worked with Eddie Dunbar [Team Sky] and James Shaw [Lotto Soudal] from an early age. Seeing Eddie achieve his dream and sign for Team Sky and James sign for Lotto spring to mind as real highlights for me. Another cracking story was the way in which we helped Holly Lawrence come back from injury and illness to win the 2016 Ironman 70.3 world championships. Sometimes, it’s the more personal achievements that stick with me the most though. These include helping a rider lose 5 stone so he could achieve his goal of riding in the Alps, encouraging riders to give up smoking or simply just helping riders rediscover their love of cycling. You’re also active in nurturing young talent with your Inspire Talent Programme (ITP), your coaching ‘arm’ dedicated to young riders with aims of turning pro. Any names we may know or notable successes there? We have had a number of national championship wins on the road/track and TT with our ITP riders and a couple of world podiums along the way. We have helped place James Shaw, Jacob Vaughan and Alex Braybrooke with Lotto Soudal U23 straight from the junior ranks. We also work closely with some amateur teams in Belgium, France and Holland. These tend to be feeder teams that act as development squads for bigger teams. I can’t comment too much at the moment, but we certainly hope to see a few more riders sign up with bigger teams during the 2019 season. You must have to train youth athletes differently, in terms of mentoring and guidance? I remember even back in my early 20s I could handle higher loads and had a lot of enthusiasm for training, but didn’t necessarily know how to manipulate that motivation wisely and sensibly. The great thing about young riders is that they are bursting with energy and enthusiasm to ride a bike. However, unless this is managed well, it can also be the worst thing about young riders. As we all know, there is a huge dropout of youth participants in all sport, not just cycling. There are many different reasons but the contributing factors tend to be stress (exams/study), anxiety, increased emphasis on winning rather than participation and lack of personal motivation and the desire to fulfil their goals. At trainSharp we are aware of these factors and so a big aspect of our coaching is making sure there is a good balance between training, recovery and home life. Our coaches are experienced in planning training around school, studies and exams. We make sure that the young riders enjoy the whole training process. Dedicated coaching support is so valuable to these young riders to allow them continue to progress in the sport. What is the strangest or funniest thing you’ve experienced or seen on a bike? A coached rider turned up at a flat circuit race without his cycling shoes. (I think most of us have forgotten shoes before). One of the fathers from the kids race that was on before his event agreed to loan him his son’s pedals with the clips and straps so he could ride. He still won the race as it ended in a sprint in his Puma trainers! What’s the most common or amusing excuse you get from athletes for either skipping a workout or for excusing / justifying a really poor workout? The best one I’ve heard recently is “I couldn’t train as Zwift isn’t working”.